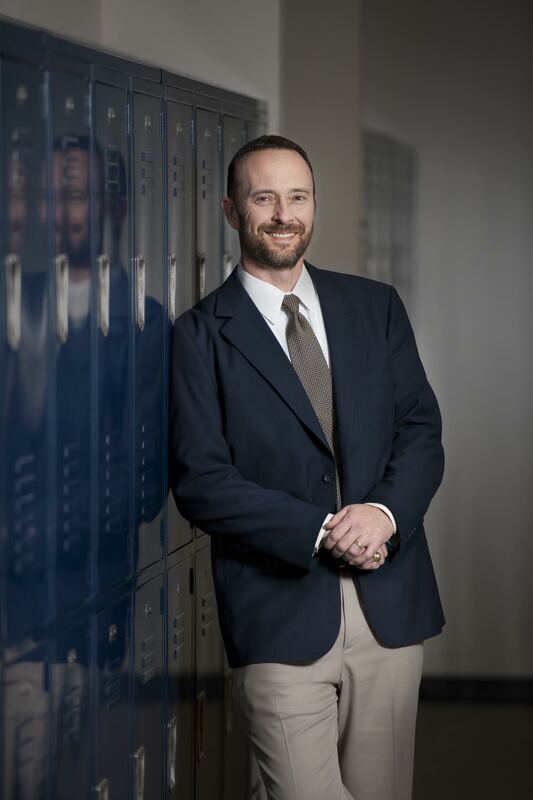 As the Head of School at Trinity Christian Academy, it is my privilege to introduce you to TCA. Trinity is a college-preparatory Christian school founded in 1993. While we share facilities with Trinity Bible Church (they’re great neighbors! ), TCA is an independently operating school with a separate board and administration that provide Christ-centered leadership for a staff of 80 men and women. We serve a student body of approximately 500 students in grades PK3-12. First and foremost, TCA is a Christian school. While we are proud of our excellent academic record, highly competitive athletic program, and steadily growing creative arts department, we understand that the key to an eternal impact is not in test scores, championships, or packed auditoriums. While we may work toward those goals, we want much more than this for our students! The true measure of success is the degree to which the lives of our people reflect God’s truth and goodness to a world in desperate need of the good news of Jesus. We do this by keeping the 3 cornerstone values in mind throughout all aspects of school life—Relationships, Excellence, and Service. As servants of a loving, giving God, we see strong Relationships as a great priority. Our staff works alongside students, parents, and local churches to help our students fulfill God’s purposes for their lives and reach their maximum potential. Structures are in place for students of all ages to mentor and learn from one another, and small class sizes allow the attention students need and deserve. Trinity students work hard and seek Excellence in the classroom and on stage. TCA Eagle and Lady Eagle athletes train hard and give their best on fields and courts of play. As a school and individuals bearing the name of Christ, we expect no less! Yet while we understand the value of effort and its potential rewards (Prov. 14:23), we also know it is possible to gain the world and end up with nothing of real value (Matt. 16:26). Our school’s motto, “Student Success for God’s Glory,” reflects our desire for excellence in all things while never losing sight of greater, eternal goals. Service is a key part of the TCA experience for students of all ages. From elementary students meeting visiting missionaries and serving at the nursing home down the street to older students taking trips across cultures on overseas mission trips, our students and staff give of themselves. We recognize that there is no greater way to show our heavenly Father how much we love Him than to love and serve people who bear His image. I hope this website is a useful tool for you as you seek to learn more about TCA. Even better yet, I hope you come visit us in person! The most common description of Trinity Christian Academy used by students, teachers, and parents is "family," and family has to be seen and felt to be understood. If you have an interest in joining our TCA family, please contact us to schedule a tour.